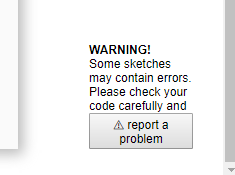 there is a link to a sketch which has nothing to do with using a Gauge. It is also linked from other items such as LCD etc. Actually… The Blynk Blink sketch is an essential base sketch, using Blynk’s direct GPIO pin control that can relate to most any widget. Just load it up, place a gauge on your App set to an analog pin and hook up a POT to the same analog pin… done. Or you can place a Gauge and a Slider, set both to the same vPin and watch the gauge move in accordance to the slider… meanwhile, using another example like the Get Data example as a base, you could then use a BLYNK_WRITE(vPin) function to see the same slider action in the sketch for dimming an LED or something. The gauge on a digital pin might even recognise a PWM signal on that pin?? I haven’t tested that… EDIT nope, in direct GPIO mode, it is meant for Analog pins only. But with virtual pins it can display any integer value in it’s range.